All of those unused frequencies that linger between TV channels, called white spaces, are ripe for the taking, and starting today network builders and device makers can start using them, with a little help from Google(s goog). The internet giant was one of a handful of companies approved by the FCC to run a white spaces database, and on Thursday Google is opening up that database to all comers. That will allow would-be networkers to identify unused TV spectrum in their area and stake a claim on the airwaves. 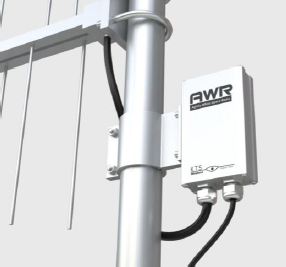 While typically unlicensed spectrum is a free-for-all – anyone is free to set up a Wi-Fi network or Bluetooth link wherever you please – white spaces are managed airwaves. The spectrum is reserved for TV broadcast use, but where there is no TV signal present (or other permitted usage, such as wireless microphones) the public is free to tap it. The thing is TV stations use different frequencies in different markets. In order to ensure these new unlicensed networks don’t wipe CSI off the airwaves in your neighborhood, white space users need to register their use to a geographical database like Google’s so they don’t interfere with local transmissions. In urban markets, the TV airwaves are pretty crowded so at least in the U.S., the primary use for white spaces is going to be for rural broadband, though companies like Neul have promised to build networks here that would serve as a connectivity web for the internet of things. Since its database came online in July, Google has been testing it with GE(s ge) on industrial communications applications. A white spaces broadband network has been live in Wilmington, N.C., since early 2012, using a database provided by Spectrum Bridge (see disclosure). We’ve started seeing other innovative uses for white spaces pop up all over the country. Wireless broadband radio maker Redline has been working with oil and gas companies and even mine operators to use white spaces to carry data into the bowels of the Earth. Globally, we’re seeing white space trials from the U.K. to South Africa. Google is launching a developer API that lets anyone access the database, but it’s allowing device makers to create commercial accounts through which they can register their transmitters in the database. Adaptrum is the first device maker onboard, working with the Air.U consortium to set up shop in the unlicensed airwaves surrounding West Virginia University’s campus. That’s just a starting point, though. Air.U has plans to launch networks on college campuses nationwide.